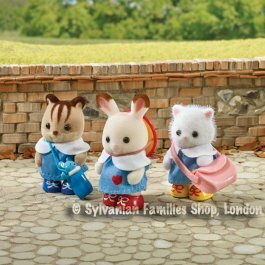 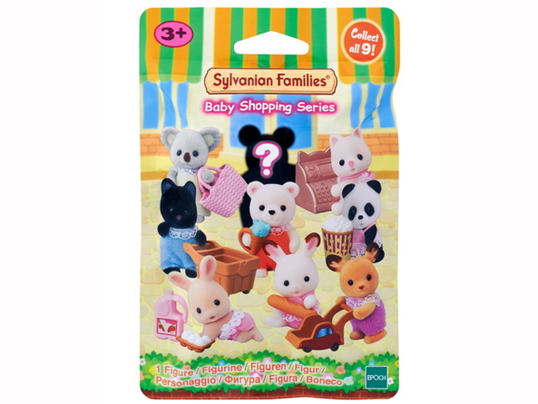 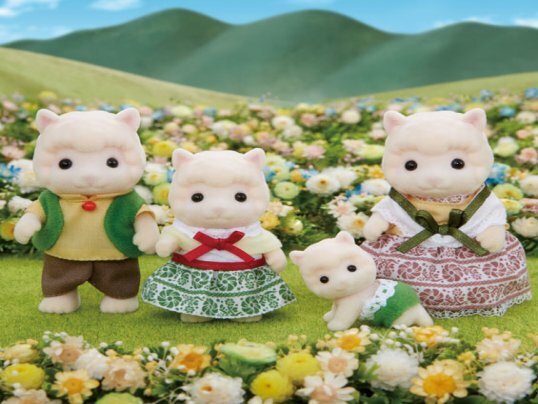 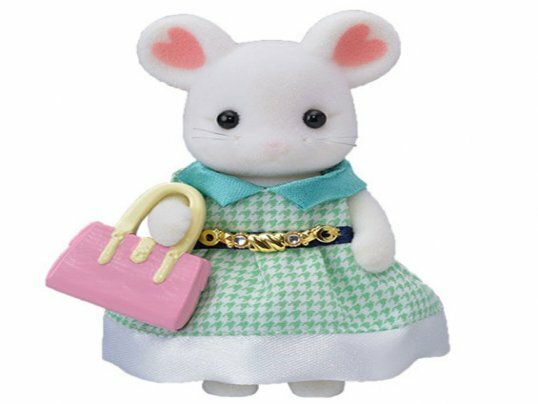 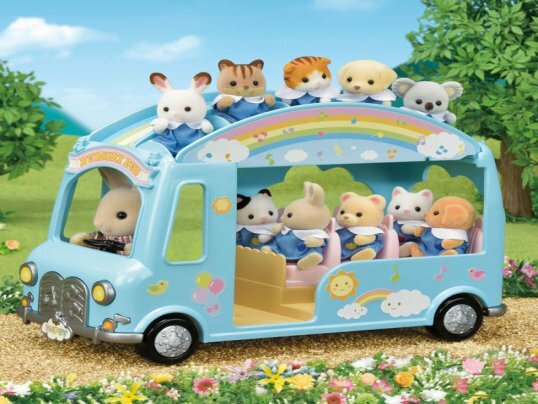 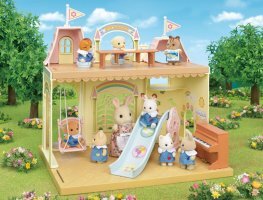 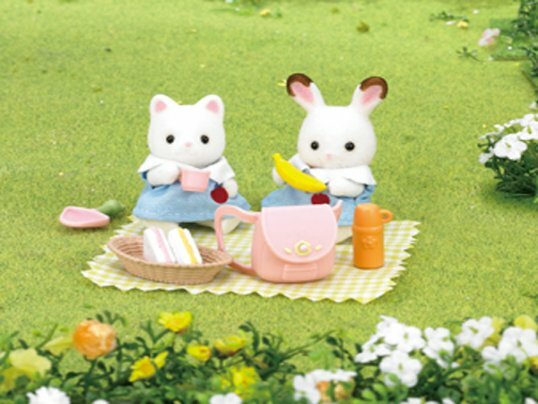 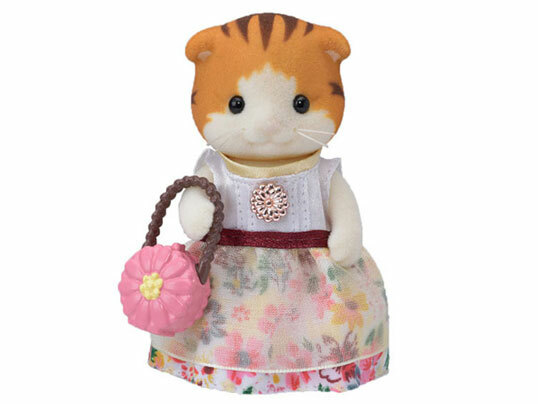 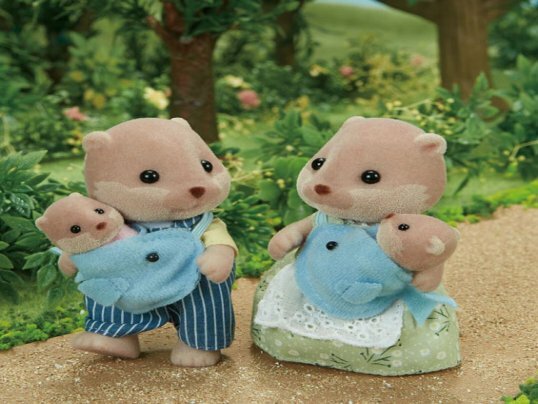 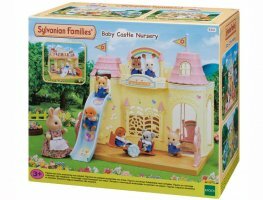 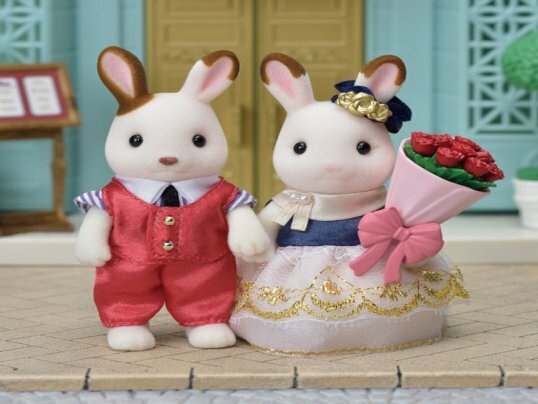 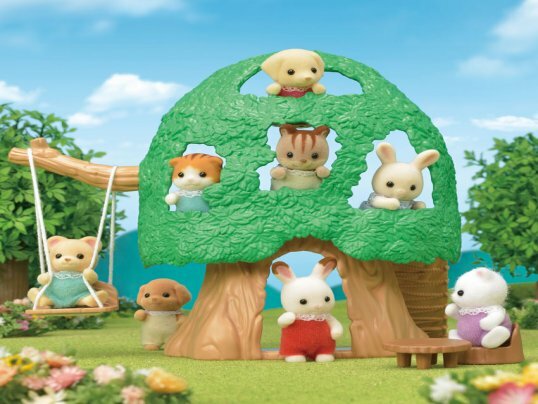 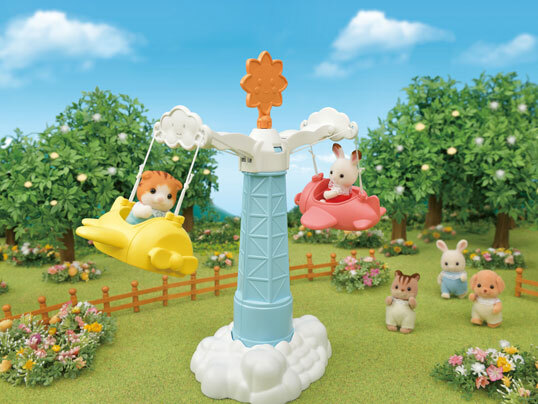 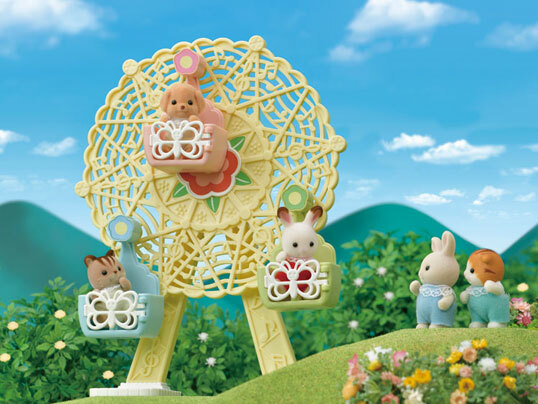 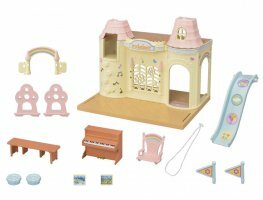 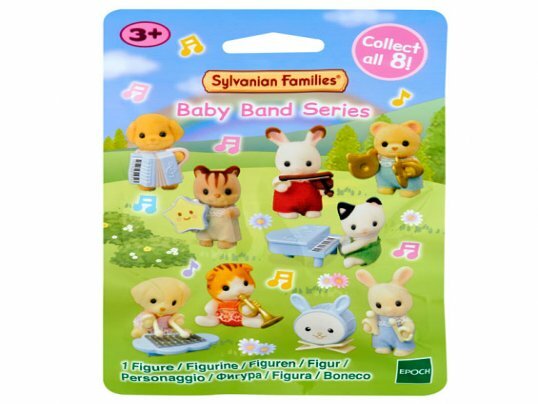 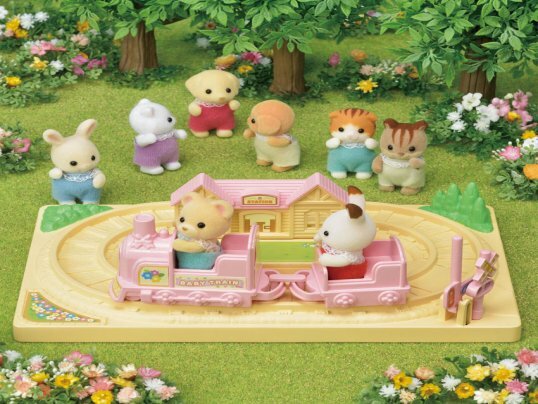 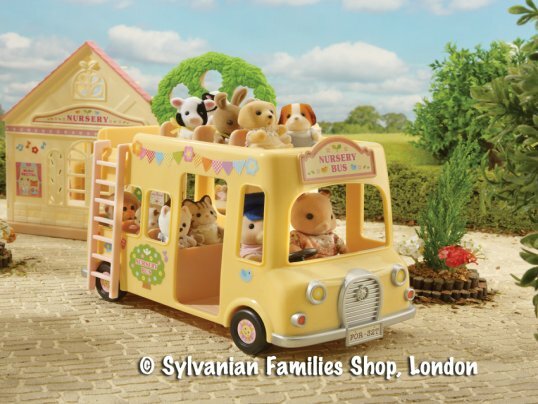 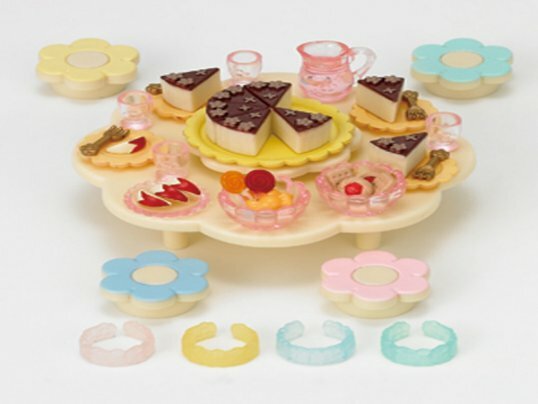 Every day at nursery school will be just like a fairy tale come true for your Sylvanian babies at the Baby Castle Nursery! 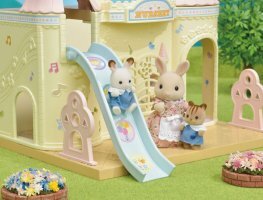 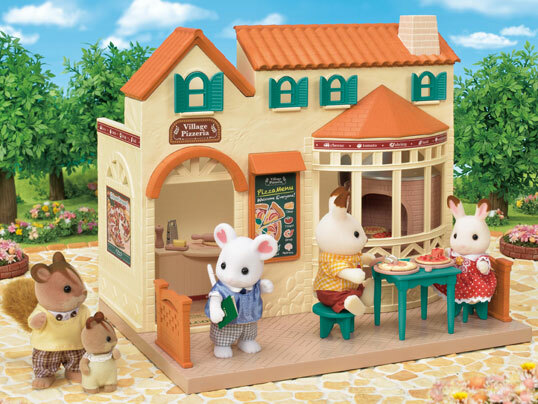 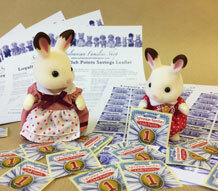 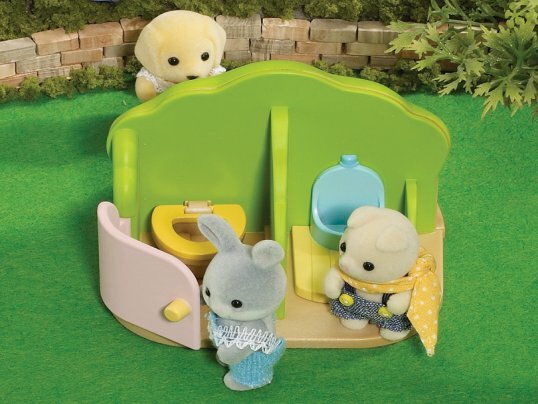 Welcome to the Baby Castle Nursery, the most fun place in Sylvania to start learning your ABCs! 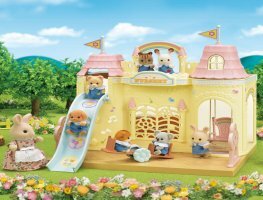 This cute nursery school building has been designed in the shape of a castle and features colourful decorations and playground equipment like a slide, swing and seesaw. 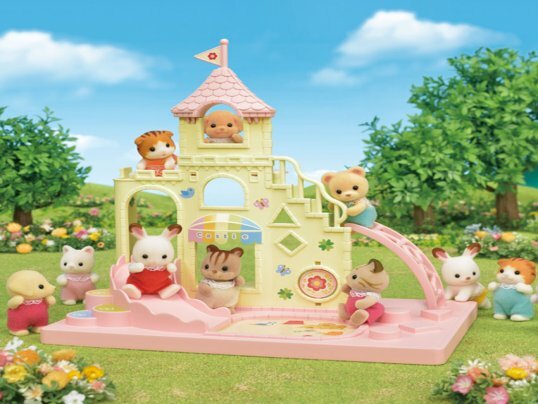 The reversible floor panel can be adjusted to change the internal/external floor space of the building, and when you connect the Baby Castle Playground [sold separately] your castle nursery will become even more magnificent!